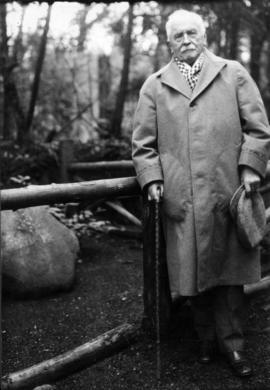 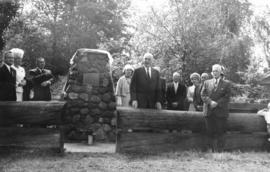 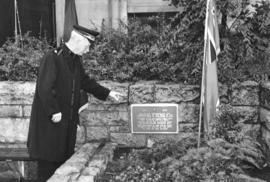 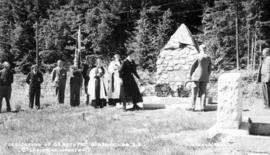 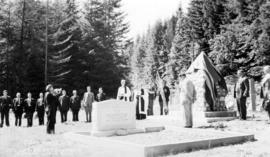 Item is a photograph showing poet Charles Mair standing at grave of Pauline Johnson in Stanley Park. 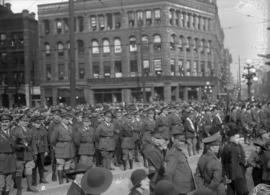 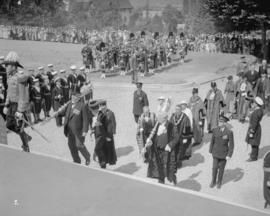 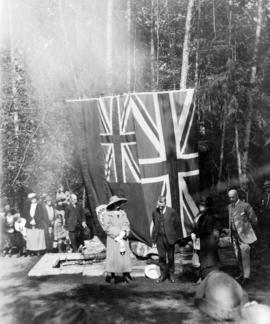 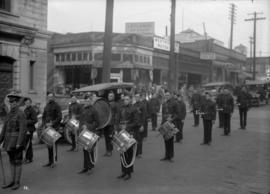 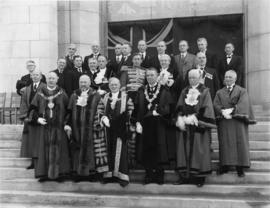 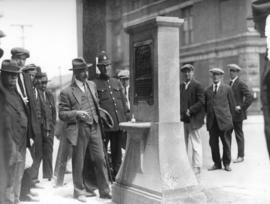 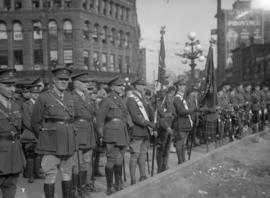 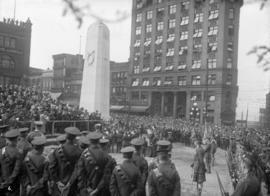 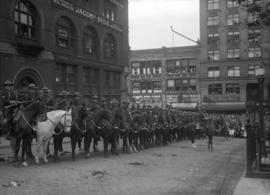 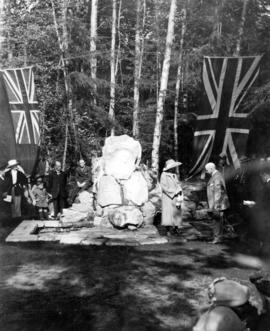 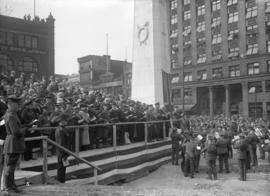 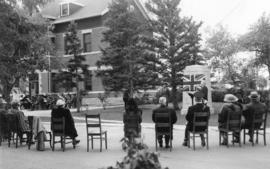 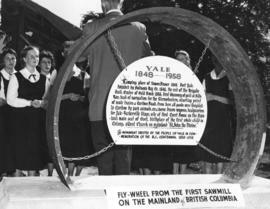 Unveiling of the Harding Memorial in Stanley Park, Vancouver, Canada, September 16th, 1925. 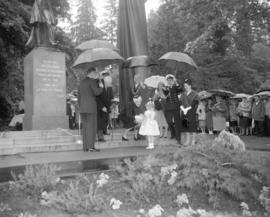 Erected by the Kiwanis Clubs of Canada & U.S.A. 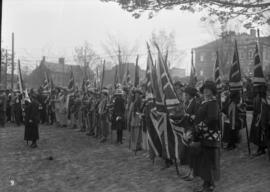 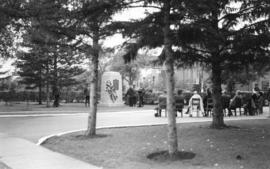 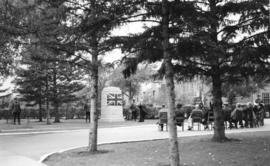 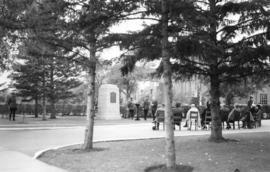 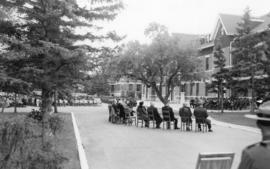 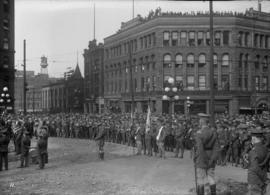 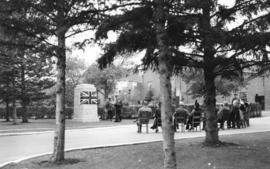 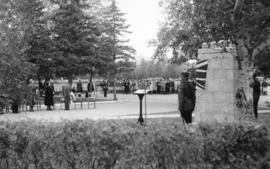 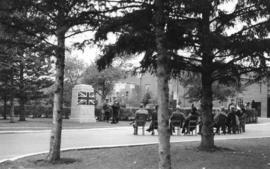 Photograph shows crowds of spectators, the memorial decorated with flags, and the Stanley Park Pavilion. 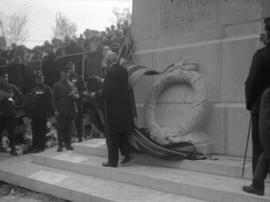 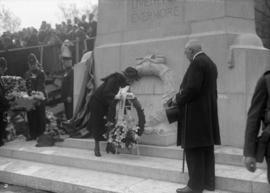 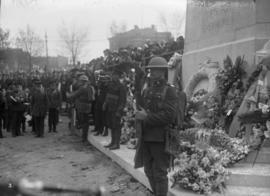 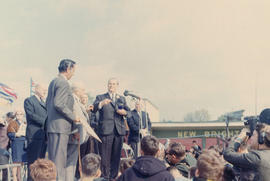 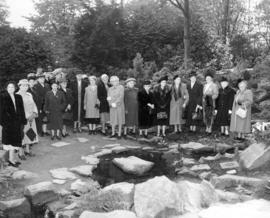 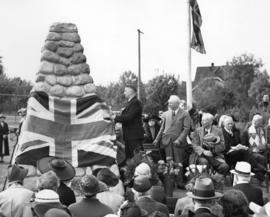 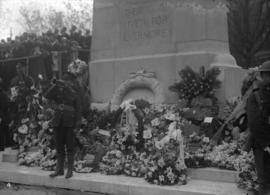 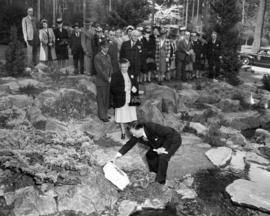 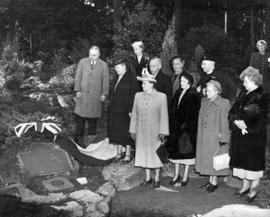 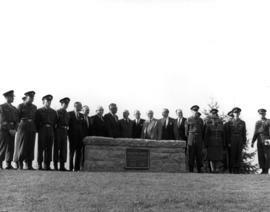 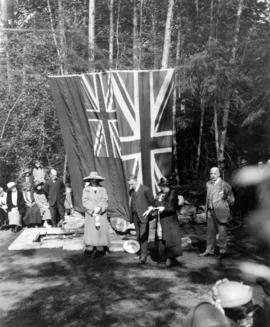 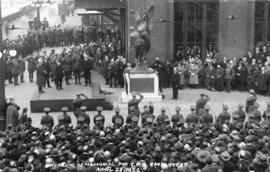 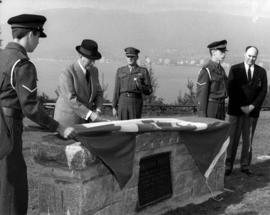 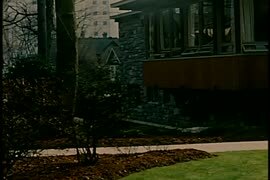 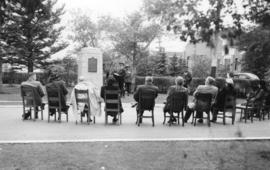 Unveiling of the Harding Memorial in Stanley Park, Vancouver, Canada. 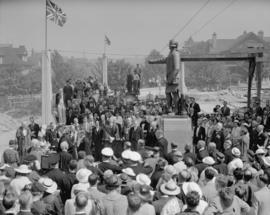 September 16th, 1925. 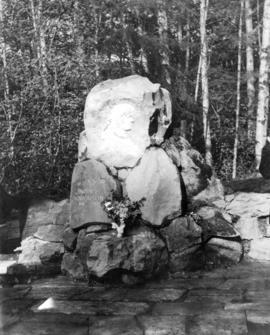 Erected by the Kiwanis Clubs of Canada and U.S.A. 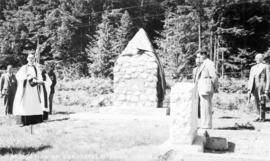 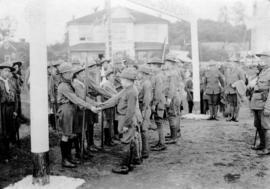 Photograph identifies Scout leaders left to right: Fred H. Bates, S.M. 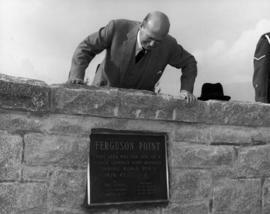 Parks and Ted Parkinson.